Excellent work by this New Jersey client. This post, on how many silent auction items are best. How many online auction items are good. On February 7, my company is working multiple school auctions. That means that last week I was visiting with several of them about which items should be live auction and which should be silent. Here are some tips for you. 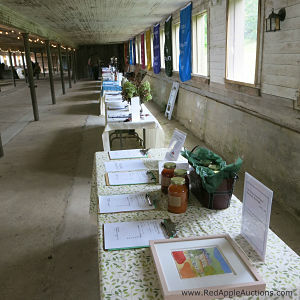 In rural Virginia, a dairy barn served as a beautiful venue for this silent auction. The hardest part? Dealing with wind gushing through the windows, blowing over displays. What’s the best number of auction items for my silent auction? In contrast, I work an auction whereby everyone who attends is single. A “bidding unit” at that auction is one guest. Number of guests / 2 = Number of bidding units. A Florida silent auction opted for orderly half-sheet bid sheets. Auctions are based on the economic Principle of Scarcity, and one item per two bidding units creates scarcity. Ignore this principle and you’ll find that you can procure more and more items, and raise the same or less money than if you had fewer items. Not what a busy Auction Chair wants to hear, right? I had a school client a few years ago reduce their silent auction by 100 items and raise the same amount (or was it a bit more?). Less work … same money. The most popular class I’ve taught on silent auctions is this course. If you’re only running a silent auction at your fundraiser, consider this your MBA. Watch the DVD, read the workbook, and then pass it along to your committee. I’ve had clients dramatically improve their silent auction returns simply by following the psychology taught in this course. You and your committee will find it one of the best investments of your auction. I promise, or your money back! The scarcity element absolutely works, but I’m not going to kid you — when I’m working with my clients, this isn’t the only change we make to get these returns. Other elements must be implemented in order to support strong ROI. But as this is a blog post, I convey information in 400-800 words. In contrast, my entire silent auction training is nearly 3 hours, once the video tutorials are factored in. 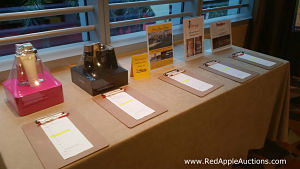 Go to Silent Auction Marketing Savvy. That’s where I teach the whole shebang — changes to make in item count, items, displays, bid sheets, and closings. The scarcity factor is one piece to the puzzle, but it’s a bite-sized appetizer before a large meal. My friends and I run a golf tournament for women veterans every year called Salute To Service Women and we include a silent auction. 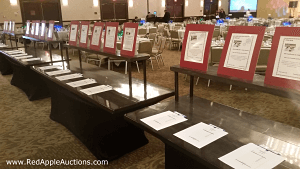 I’d love to get your “Silent Auction Success” program but can’t seem to find it in on your website. BTW, loved the idea of a Super Silent Auction for those hard to sell items! I haven’t yet released the “Silent Auction Success” program (I will later in 2018), though I’m wondering if you might be reading the reference to the “Silent Auction Marketing Savvy” program mentioned in the other comment on this blog, and perhaps confusing the two. 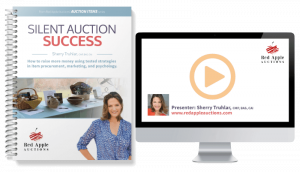 The “Silent Auction Marketing Savvy” program was discontinued; I sold out the product line in late 2017. But as mentioned, I’ll release “Silent Auction Success” later. OK — update. I see you’re looking at it in the blog. It’s not worth explaining all the details online, but “Silent Auction Success” will replace the older product I retired. We updated images during the new website launch, and so that’s what you’re seeing. The advice still holds — just read the newsletter to keep up to date. The blog has a gazillion articles and as time marches on, some images disappear, links break, etc. It can make things confusing.